Tockwith pub The Spotted Ox has been put up for sale, marking the end of a 14-year ownership. Sheila and Ian Robinson are selling the pub, which has a leasehold asking price of £60,000, in order to travel. Agents Christie and Co are handling the sale and say the pub is wet led, provides up to 80 covers and includes an open plan bar and restaurant, in addition to the Forge function room, which is in a separate detached building with access to a beer garden. There is also owner’s accommodation on the first floor, which includes three bedrooms, a living room, dining room and kitchen. 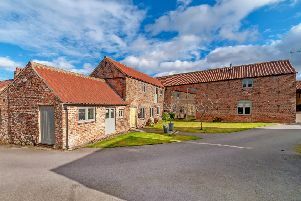 Matthew Hendry, Business Agent at Christie & Co, is handling the sale and said: “The Spotted Ox is set in the lovely village of Tockwith on the outskirts of York, ideally suited for an owner operator or team operation to acquire a successful pub restaurant. Tockwith is mentioned in the Doomsday Book.